This skinny cocktail, which comes in under 200 calories, uses fresh fruit juice instead of store-bought sugary juices so it’s an excellent warm weather cocktail to enjoy! You will need 5 blackberries, 1/2 ounce agave nectar, 3/4 ounce fresh lime juice, 1 1/2 ounces blanco tequila, 1/2 ounce crème de mure (blackberry-flavored liqueur), and crushed ice. 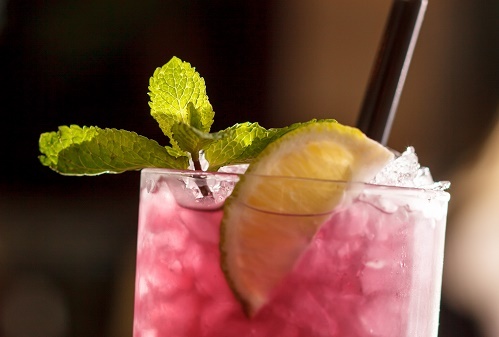 Muddle blackberries with fresh lime juice. Put crushed ice in the glass, add remaining ingredients, stir to combine and serve with a straw.